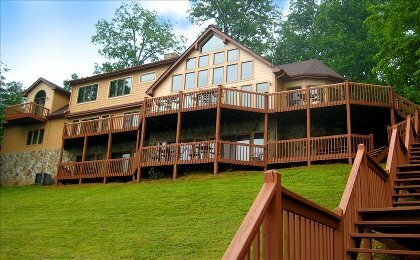 The ERICKSON NORRIS LAKEFRONT HOME is located in Deerfield Resort on Norris Lake and is is a stunning, cedar and glass, 5800 sq. 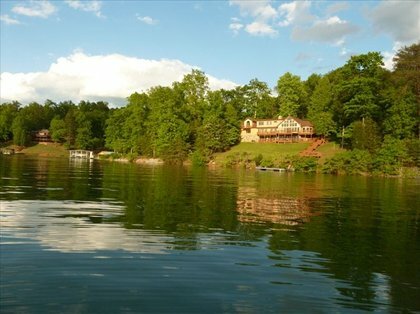 ft., on a full acre with private boat dock, wrap around decks and inspiring panoramic views. 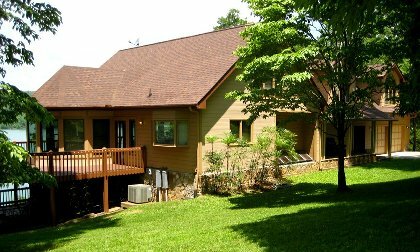 This beautifully furnished vacation rental home is decorated with original art throughout, offers magnificent views of Norris Lake from every room including the master bath. Whitetail deer are often seen enjoying the land around the home. 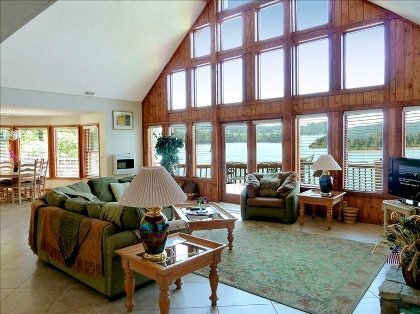 The large view windows are special energy efficient double pane glass that resists heat and sun while letting in the spectacular lake view. 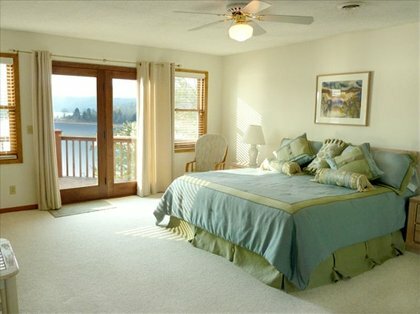 This was part of our extensive Spring of 2010 major renovation to the entire home inside and out. 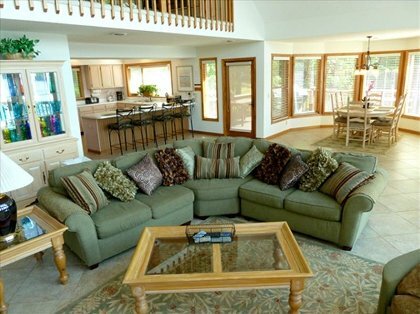 The home has two large complete kitchens both with new refrigerators, two dining rooms, two comfortable living rooms each with their own large screen HDTVs. 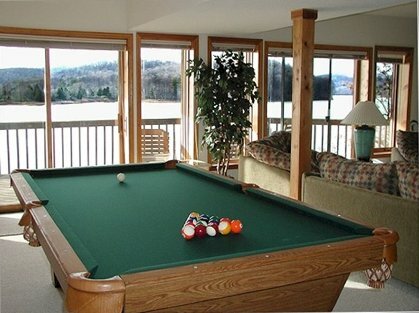 The lower living area has a regulation pool table which guests really enjoy. 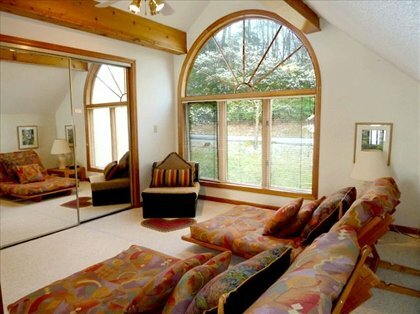 The privacy of having two separate living rooms allows more choices for our vacationers. INTO SALMON AND HALIBUT FISHING? This is where you need to go! Contact owner for availability and pricing.